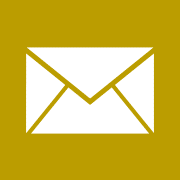 The olive tree belongs to the Oleacecae family, which also includes species such as lilacs (Syringia), privet (Ligustrum), true ash trees (Fraximus) and also shrubs such as Forsythia or jasmine. The only specie having consumable fruits is Olea europaea, which can be divided in 2 subspecies: Olea europaea sylvestris, the wild olive tree and Olea europaea sativa, the cultivated olive tree. This specie is generally a thorny shrub with small round leaves or slightly elongated and with small spherical fruits which contain little oil. This tree is widespread in maquis of the Mediterranean regions and constitutes even forests in Spain, Algeria and Asia Minor. The olive tree is different from the other fruit species because of its very long longevity that could give trees many time centenarians. If the trunk disappears by ageing, suckers growing up at its base will look after its timelessness and will give a new tree. 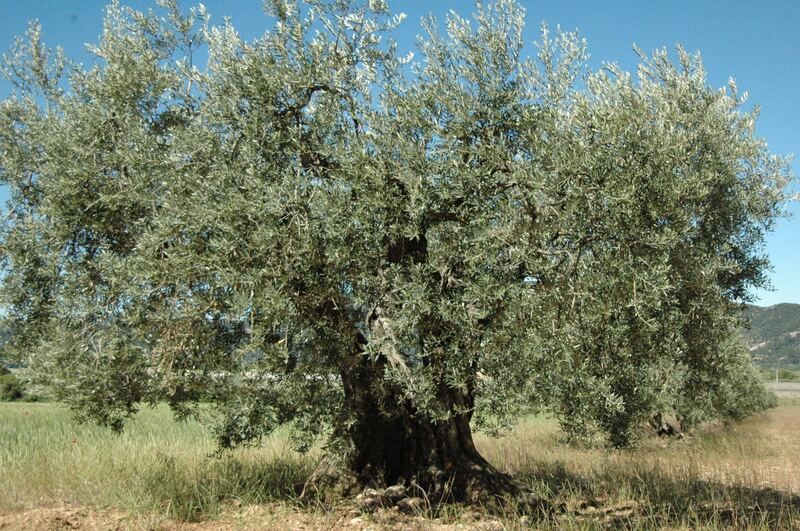 The cultivated olive tree is a 5 to 10m high tree with a sinuous trunk of which the bark is cracked. 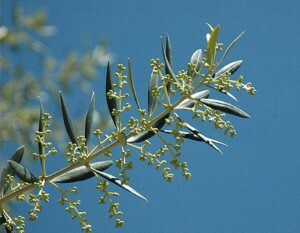 The olive tree has lanceolate leaves and fruits having variable forms and an oil content depending on the olive variety. 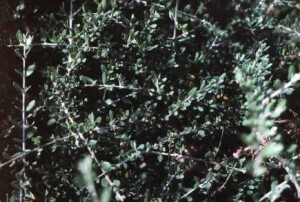 Thanks to men and patient selection works, many olive varieties appeared. Depending on the purpose of the fruits, they were classified into varieties for table olives or olives for oil or varieties for both uses. The olive tree is also well-known because of its hardiness that enables it to grow and to bear fruit under some sub arid climate conditions and sometimes on very poor soils. 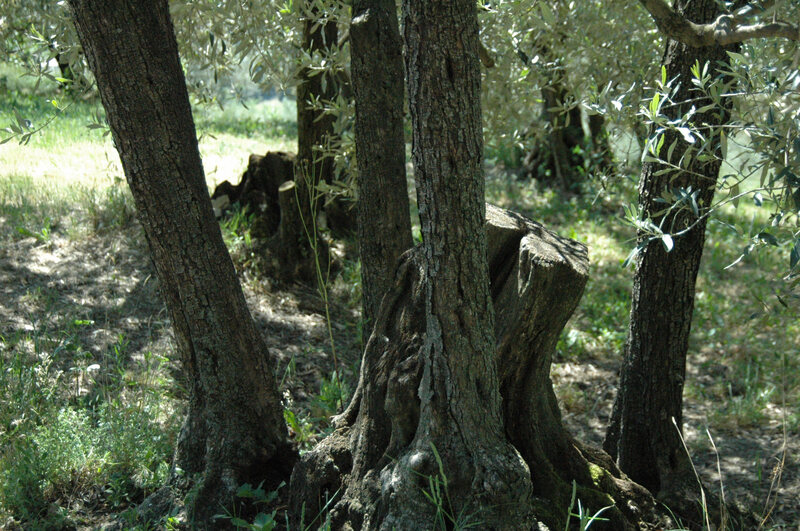 The annual progress of the vegetative cycle of an olive tree is closely linked to the climatic conditions of its adaptation’s area. After the winter rest (November-February), the spring awakening (March-April) appears with new terminal shoots and the blooming of buds which will give either wood or flowers. Then when the spring temperatures rise, the olive tree blooms (May-June), the pollination of its flowers takes to the formation of olives (June-July). Only 1 to 3% of the flowers will become fruits. In July-August, fruits get bigger to reach their definitive size at the end of September-beginning of October. Then begins their color change. 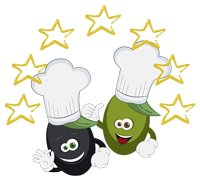 The harvest is made from the end of august for the early green table olives to the end of February for the olives meant for late oils.